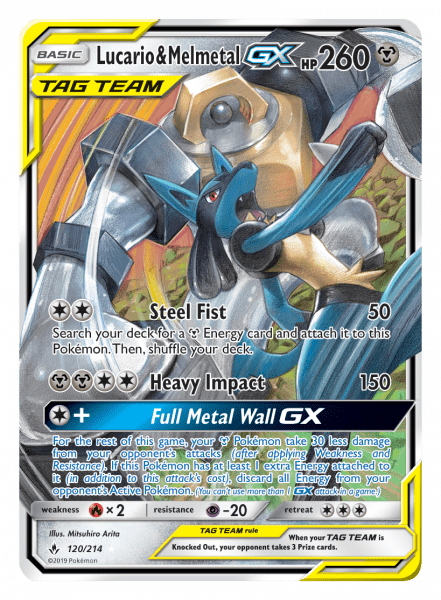 The next Pokémon TCG set, Sun & Moon—Unbroken Bonds, is releasing worldwide on May 3 and features more TAG TEAM Pokémon-GX such as Reshiram & Charizard-GX, Marshadow & Machamp-GX, and more. 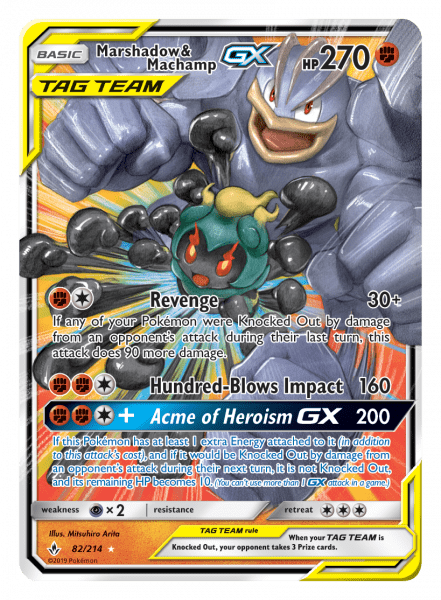 There are over 210 cards in the set, making it an absolutely massive expansion. 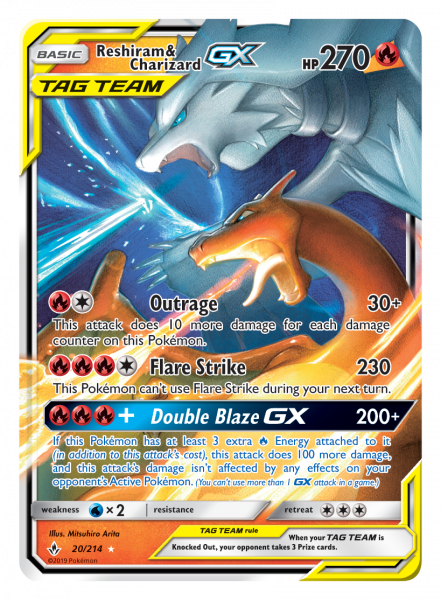 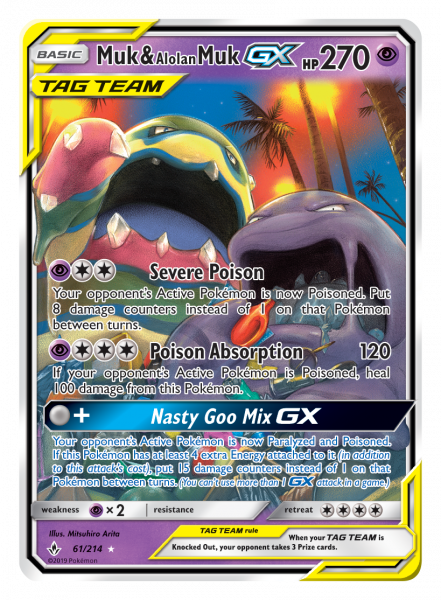 There are 7 new TAG TEAM Pokémon-GX, 7 new Pokémon-GX, over 25 Trainer cards as well as a new Special Energy card. 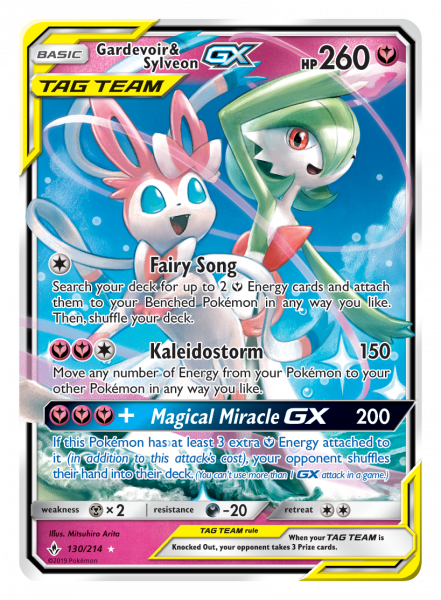 Prerelease events for Sun & Moon—Unbroken Bonds will take place from April 20–28, where you can play in a friendly tournament-like format and build a deck using cards you pull from booster packs of the new set. 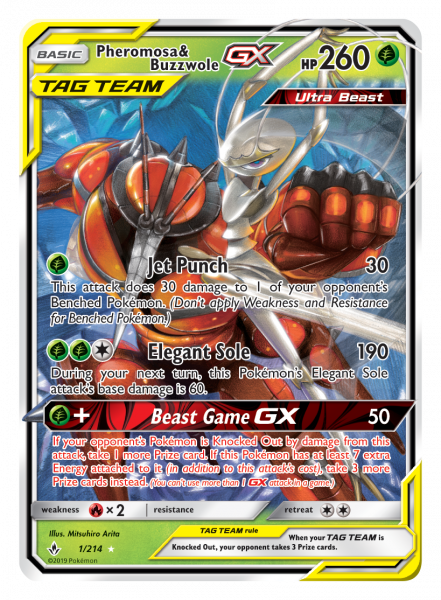 You can find the nearest Prerelease event to you by using the Event Locator (make sure to change “End search at” from “Next 1 month” to “Next 3 months”). 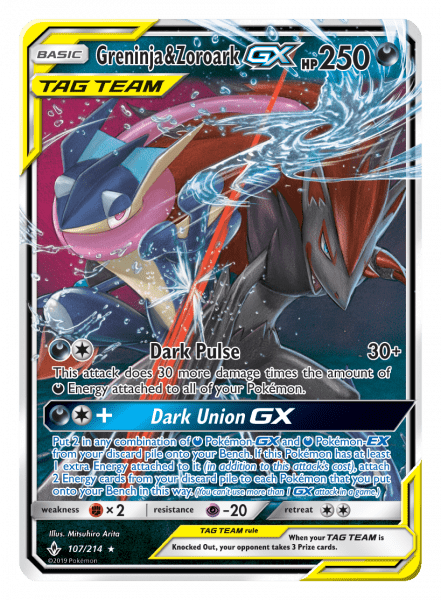 Lastly, Sun & Moon—Unbroken Bonds will be supported in the Pokémon TCG Card Dex App upon the set’s launch, so you can scan and keep track of your collection on your iOS device.